Philip Hammond’s stamp duty cut for first-time buyers could cost those purchasing a home more than twice as much as it saves them, a leading think tank has claimed. The Resolution Foundation said the policy will inflate house prices by more than the saving it will deliver for many buyers. It added that the change will only marginally reduce the time it takes an average first-time buyer to save up to buy a property – from 19 years to 18.5 years. The abolition of stamp duty for first-time buyers purchasing homes costing up to £300,000 was the centrepiece of the Chancellor’s Autumn Budget. 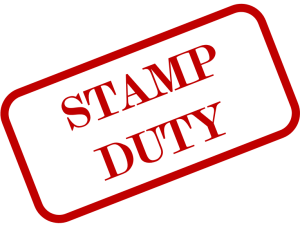 What do the stamp duty changes mean for first-time buyers? The Resolution Foundation said the rise in house prices that the policy is likely to cause equates to a £3,200 increase in the cost of an average-price home – more than double the average £1,600 saving it will deliver. There is widespread acceptance that house prices are beyond the reach of many first time buyers. In many parts of the South of England, prices are over 467 times weekly mean income (see Map 5 on the link to ONS). This is getting on for ten times annual income, and much more than that for those unable to afford a home. The government has tried a few measures to help. There was the Help to Buy schemes, centred around an ISA where the government boosts savings by up to £3,000, and/or an equity loan for up to 25% of a new home. Critics argued that the net effect of this scheme was to channel more money into the housing market, causing even more house price inflation. There were also changes to Buy-to-let taxation. Stamp duty for landlords (and indeed anyone not planning to themselves live in the house) now starts at 3% on the first £125,000 compared with 0% for buyer-occupiers. Further, from 2016, those on Buy-to-let mortgages are seeing their taxable income increased from the net income (i.e, income after deduction of mortgage interest) to the gross income by 2020. That represents a massive increase in tax for a highly leveraged purchase, further compounded by a reduction in tax relief on the mortgage to 20% rather than any higher rate of tax the landlord might pay on the rental income. This reduction of purchasing power by potential landlords will help to ease demand. Landlords might be seen as a sacrificial lamb in this market intervention exercise. And with some justification, given that a limited company acting as landlord will still be taxed according to the old regime, on profits rather than income. Much as I detest stamp duty, there’s no doubt in my mind this is a gimmick. If the chancellor really believes stamp duty is an undesirable tax, then he would have scrapped it for everyone. Basically this move hands a little more purchasing power to first time buyers. And what happens when more money is available? The answer is that prices are forced upwards. This will be true in areas of the country where first time buyers compete for homes. Less so where demand is lower. And those wanting to move home will be rightfully aggrieved. Why should they pay stamp duty when someone else doesn’t? The only way to really take the sting out of the housing market is to take value out of it. Many of the moves by the Chancellor (and his predecessor) have been inflationary, including this one. Conspiracy theorists might suspect that vested interests in the government really don’t want to see house prices fall at all. But they can only hold out for so long. People will eventually vote for a party that delivers more affordability to them, and Labour’s increasing support in London points to that trend even now. Can value be taken out of the housing market? Yes, it can. One way might be to raise rather than lower stamp duty. But that will also take liquidity out of it. People just won’t move house. Some suggest interest rate rises, which reduces demand through credit being more expensive. That will certainly help, but would be unwelcome by those already burdened with debt. My own preference is for a Land Value Tax (LVT). This would replace stamp duty, basically by declaring that everyone owning land should pay tax, not just those buying or selling it (or moving home). There are many reasons why LVT should be introduced, but the hoarding of land is one of these. This will deter property speculators and development businesses that have land as assets rather than for development and sale as new homes. « Universal Basic Income – Can we afford it?